President & CEO of Lexden Capital. Please join Family Office Insights for this luncheon on Monday, June 18th 2018 at 12PM. If you care to join us, please email admin@familyofficeinsights.com. Family Office Insights sits down with David Soares, President & CEO, of Lexden Capital to discuss the opportunity to participate in a $7.8M late development phase financing for Y2X Infrastructure, a pioneering gas-to-Liquids (GTL) production firm based in New York City. The company uses commercially proven technology to convert low-cost waste natural gas into high value-added, premium products such as synthetic waxes, lube oils, and ultra clean fuels.Y2X Infrastructure deploys commercially proven Gas-to-Liquids (GTL) technology to convert of stranded, ethane rich natural gas into premium synthetic waxes for a supply constrained market. Tell us about your background and your company, Lexden Capital and Y2X Infrastructure. I was educated in London, England and have over 30 years of experience in finance and real estate investment. Throughout my career, I owned broker dealers, insurance agencies and residential mortgage companies. I was President of Berkshire Capital Financial for eight years, where I oversaw debt organization, loan program modeling, fund raising, investment committees and investor relations. I am currently the founding Managing Partner in North Hill Capital Management. With originations in excess of $300M, North Hill Capital Management originates, underwrites, and services commercial bridge loans for its own balance sheet. In 2005, I was introduced to Lexden Capital by AECOM to focus on marketing and creating relationships. Y2X Infrastructure is a partnership between Y2X and Lexden Capital. Lexden Capital has put together a platform of ‘best-in-class’ project management, asset management and finance experts with directly related experience to ensure this project’s success. Lexden specializes in originating, structuring, underwriting and placing debt & equity into such projects. Which industry or client does Lexden target? Lexden Capital came to be because we specialize in reviewing investment opportunities in the infrastructure space. We get many referrals to deals where something is missing, whether it be in the deal structure, the Principals, the access to the right capital, or all of the above. Generally we are referred to early-stage developers from engineering, legal, accounting, and construction firms. There are no market challenges. This project has long-term feedstock and off-take agreements with investment grade companies, derricking the surety of costs and cash flows creating a set margin. In infrastructure, we wrap our deals with contracts like our 15-year take-or-pay contract with Shell. Even if they don’t take the gas from us, they have to pay us. It’s back-to-back credit. It’s a fixed revenue stream where we negotiated margins already in the index not to subject the commodity pricing. I think myself as replaceable; there are more people on our team than needed because there’s no risk for the investors. If a bus hits me tomorrow, the deal still goes on with the rest of the deep and experienced team. With our heavy business pipeline, you’ll find that investors will like this type of product. There are no competitors doing what we are doing. We saw the white space and the demand, so we found the solution: gas suppliers and off-take providers have asked us for this. Along the Devonian, Marcellus, and Bakken and other gas and shale fields there is stranded gas, which is often too high in ethane content for pipelining to market. Previously this high ethane rich gas was flared, but this has been banned in some states so this is a significant problem that needs a solution. We monetize an otherwise wasted resource by converting it to high value added premium products. This can be replicated in many other locations. We are one of the few investment firms with in-house engineering. Others think their in-house analysts know it all, but in my opinion, I want somebody experienced and fully licensed in the space. Some people can explain it textbook style, but our in-house engineer has actually done it. Right now, we are importing wax from China because the technology in the US has upgraded and we don’t have the ability to produce wax here. Wax is a byproduct of petroleum refining, which at the time was called Group 1 lube oils. In 5-10 years, with the environmental reasons and changes in the automobile industry, the demand has shifted to higher synthetic oil like Group 2 and 3. This technology shift has bypassed wax production. All those refineries are now adapting to that and not producing wax anymore and importing from China who use this old technology. We are appealing to the demand side as well as the supply side. As China evolves, they will be producing less and less wax as well. We are raising $7.8M to cover the balance of our $10M raise in development costs to get the project to the construction phase of $235M. We have close to $2M already committed. We are not oversubscribing and seeking a minimum of $1M and a max of $7.8M. We are also open to taking 5 investors at $250K each. Raising capital will get us to a point of hard contracts. The ideal investor is a high net worth individual or family office seeking to make above average returns with minimum risk with a relatively short hold period. We would preferably like someone with experience in the oil and gas sector. We produce significant profits through ‘de-risked’ investments, as well as create economic development/high quality jobs in the US, as well as positively impact the environment. I want to solve this issue on the supply side in terms of avoiding burning or flaring in the environment by taking a negative situation and make it positive. In the US alone, this is an over $20B market. In my opinion, this $325M project is phase 1 of 3. This is built on a demand contract, which we will identify issues based on higher ethane content and get long-term contracts based on that. For example, the World Freight Organization came out with a directive that by year 2020 they will be converting to clean diesel for tankers. This is not made from oil, but from gas. This is a product that Shell can—down the line after our 15-year contract—ask us for diesel over gas as demand drives up. There is a huge demand for what we do in a great niche as long as we keep it under $300-400M. This way, the big corporations remain uninterested in this space. We believe phase one of the project at $325M is one of three phases on the same site in East Kentucky totaling $800M. In addition, we believe this market in the Devonian, Marcellus, and Bakken shale fields is $20B. This is my baby, but I also brought in stars that are not only over-qualified for this, but they are geared towards the $20B pipeline. I’m also soon to be Director of Finance for the Smart Cities Council in August. As a result of that, one of the projects I’m doing in Dublin, I’m partnering separately with AECOM to build affordable work force housing in Center City. It’s a huge issue worldwide. The largest cities are growing rapidly and populations are moving towards cities in Europe, Asia, and Africa. There’s shortage of workforce housing to support this. We’re working with the National Government of Housing Authority to build 3,000 houses in Dublin. We are going through the process right now. 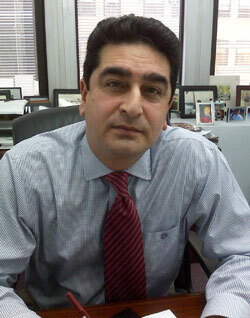 Mr. Soares oversees and is responsible for all aspects of company operations & marketing efforts. In addition, Mr. Soares oversees LEXDEN CAPITAL’S business pipeline, marketing efforts, overall quality control, and he works with investors to develop new loan and investment programs. Mr. Soares, educated in London, England, has over 30 years experience in finance and real estate investment in both the international and domestic arenas. Mr. Soares has been domiciled in the USA since 1984 and since that time has been primarily involved in real estate finance, investment and risk management. Since 1996 he has originated directly, or been responsible for, in excess of $3 Billion dollars of infrastructure and real estate finance in the form of equity, short-term debt, construction loans, permanent mortgages, mezzanine debt or equity financing. Early in his career Mr. Soares successfully performed all aspects of due diligence procedures, underwriting and closings related to commercial real estate transactions and finance. Mr. Soares is a founding Managing Partner in North Hill Capital Management (“NHCM”), the LEXDEN CAPITAL bridge loan fund formed in 2005. with originations in excess of $300 Million, NHCM originates, underwrites and services commercial bridge loans for its own balance sheet. 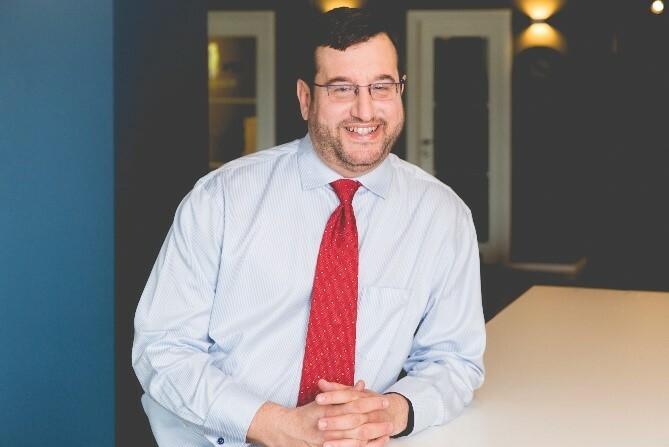 Prior to founding LEXDEN CAPITAL Mr. Soares was President of Berkshire Capital Financial for eight years, where he oversaw debt origination, loan program modeling, fund raising, investment committees and investor relations. In addition, Mr. Soares was a founding Managing Partner in Berkshire Capital Group which bought and sold successfully in excess of $400 Million of commercial real estate between 2003 and 2008. Mr. Soares has sat on the Advisory Committee for Independence Bank NY then Sovereign Bank, NY (a US publicly traded commercial bank) and sits on the Board of Directors for several local and national charities. If you have any questions, please contact David at dsoares@lexdencapital.com.